T3's previous experience of theme parks goes like this: pay eye-watering entry fee, queue for an hour to spend three minutes screaming and vomiting on the biggest rollercoaster on site, eat dodgy hot dog, repeat. 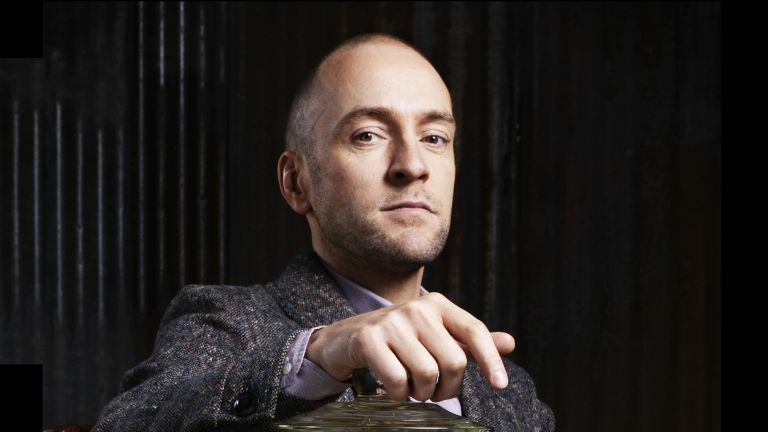 Derren Brown, however, is gearing up to turn the average theme park experience on its head – and mess with your head in the process. The London-born illusionist and mentalist has been working with Thorpe Park for the past three years on something dark, twisted and creepy. The award-winning hypnotist has teamed up with the Surrey theme park to create the world's first fully immersive psychological attraction for a theme park, a 13-minute long journey combining cutting-edge technologies with old-school parlour tricks that's designed to manipulate the human mind. The attraction, which is due to open in Spring 2016, encompasses 2,306 square meters of Thorpe Park real estate. More than 1,000 specialists from the park's creative department have been involved in its development. T3 caught up with Derren Brown and Paul Moreton, Group Creative Director at Merlin Entertainments, who's been working with Derren on the attraction, to find out more. T3: What kind of cutting-edge technologies are you using in the creation of this attraction? T3: In what way will it be ground-breaking? T3: Derren, what motivated you to create this “fully immersive, psychological (theme park) attraction”? T3: What can T3 readers expect when they embark on your 13-minute journey? T3: There will be sceptics who'll say there's no way tech can be used to effectively manipulate the mind. What would you say to them? T3: Derren: why are people drawn to experiences centered around fear? The Derren Brown attraction at Thorpe Park will be open to the general public in Spring 2016. Early-bird tickets are available for pre-order now – and you'll need to be fast if you want to be one of the first to experience this pioneering attraction. Early-bird one-day tickets cost £27.99, and are on sale now from www.thorpepark.com. The theme park has also created a micro-site, mindswanted.co.uk.